Mr. Serafino has a broad legal practice that includes both business litigation and general corporate client representation, with an emphasis in creditor's rights litigation and cross-border transactions. He has counseled both foreign and domestic individuals, partnerships, privately and publicly held corporations, professional corporations, non-profit corporations, joint ventures and investment syndicates. 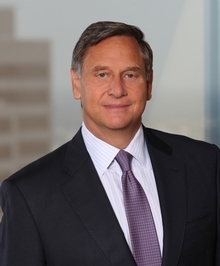 His clients include several of the state's largest financial institutions. Mr. Serafino is also an experienced trial attorney who has tried numerous cases and argued many matters before Texas appellate courts. In addition, he has extensive experience in alternative dispute resolution.